Purchase all eight programs and save money! Vol. 1: Fantastic First Touch The ability to receive, prepare, and play the ball quickly and accurately is essential for successful performance at higher levels of play, where space and time are limited and the tempo of play is very fast. This video illustrates the importance of a quality first touch and provides a series of exercises which focus on improving a player s initial touch on the ball. 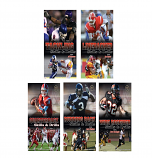 The program is an essential resource for every coach and player! 51 minutes. 2007. Vol. 2: Rock Solid Defense Creating a rock solid team defense will occur only through commitment, discipline, and the coordinated efforts of teammates. This comprehensive program illustrates the fundamental principles that underlie individual and group defending tactics, and provides coaches and players with a series of game-simulated exercises guaranteed to create a strong defensive side. This video is an essential training resource for every coach and player! 67 minutes. 2007. Vol. 3: Attacking Tactics Scoring goals has become the most difficult task in the sport of soccer. This comprehensive program illustrates the fundamental principles of individual and group attack tactics, and provides coaches and players with a progression of game simulated exercises guaranteed to improve team attack and result in more goals scored. This video is an essential training resource for coaches and players at any competitive level! 60 minutes. 2007. Vol. 4: Finishing the Attack The player who can consistently put the ball in the back of the opponent s net is a rare and valuable commodity. To score goals on a consistent basis requires special talents. This comprehensive program provides a series of game-simulated exercises that will sharpen your shooting skills and improving your ability to finish a successful attack. This video is an essential training resource for coaches and players at any competitive level! 61 minutes. 2007. Vol. 5: Passing, Receiving and Heading Passing, receiving and heading skills provide the vital thread that enable 11 teammates to play as one. Mastery of these skills will enable teammates to maintain possession of the ball, dictate the tempo of the game and ultimately create and finish scoring opportunities. This video provides coaches and players with a variety of exercises designed to improve their ability to pass, receive and head the ball effectively. 74 minutes. 2008. Winning Soccer Vol. 6: Dribbling and Shooting Skills Creative dribbling coupled with powerful shooting skills provide a solid foundation for successful attacking soccer. This comprehensive video provides players and coaches with a progressive series of drills designed to improve each players ability to successfully execute these important skills in game situations. This video is a great resource for both players and coaches at any competitive level. 63 minutes. 2008. Vol. 7: Goalkeeper Training This video demonstrates essential goalkeeping skills used when receiving low, medium and high balls, when diving to make an acrobatic save, when boxing the uncatchable high ball, and when distributing the ball accurately and effectively to teammates. This video is an essential resource for every aspiring goalkeeper and coach. 73 minutes. 2008. Vol. 8: Youth Soccer Games Planning a practice that motivates players to learn, train hard, and enjoy the game is a fundamental responsibility of every soccer coach. Young soccer players will derive the most benefit from practices that are challenging and fun. This video provides coaches with a variety of games that will nurture the technical, tactical and physical development of their players. The games are competitive, fun to play and can be easily adapted to a wide range of ages and abilities. About the Coach: Dr. Joseph Luxbacher has been involved in the sport of soccer for more than 30 years as both a player and a coach. A former professional player in the North American Soccer League (NASL), American Soccer League (ASL), and Major Indoor Soccer League (MISL). Luxbacher is the head men's soccer coach at the University of Pittsburgh and has twice been named Big East Athletic Conference Soccer Coach of the Year. Luxbacher also serves as the founder and director of the Shoot to Score Soccer Academy, which offers instructional soccer camps to youth players of all ages. 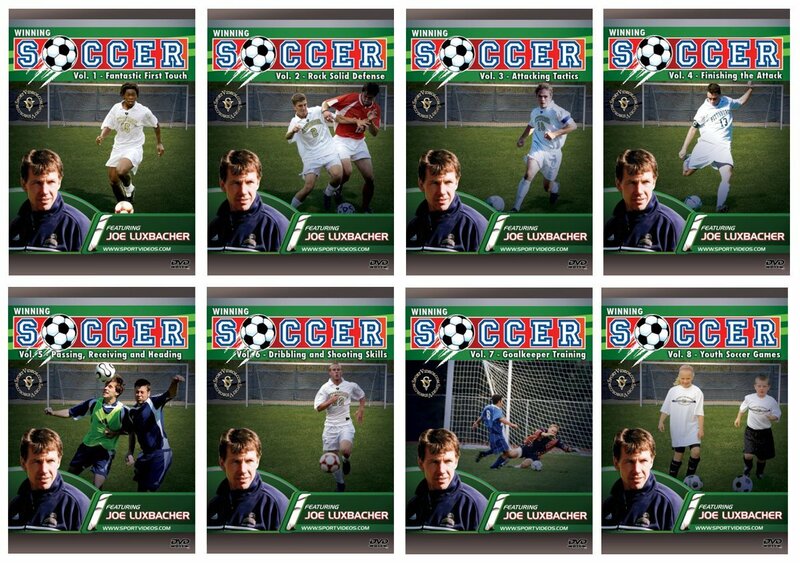 He has authored more than a dozen books for both coaches and players covering various aspects of soccer.